This hop will take place November 24th through December 5th and the new postings each day will be posted by 8 am eastern standard time. 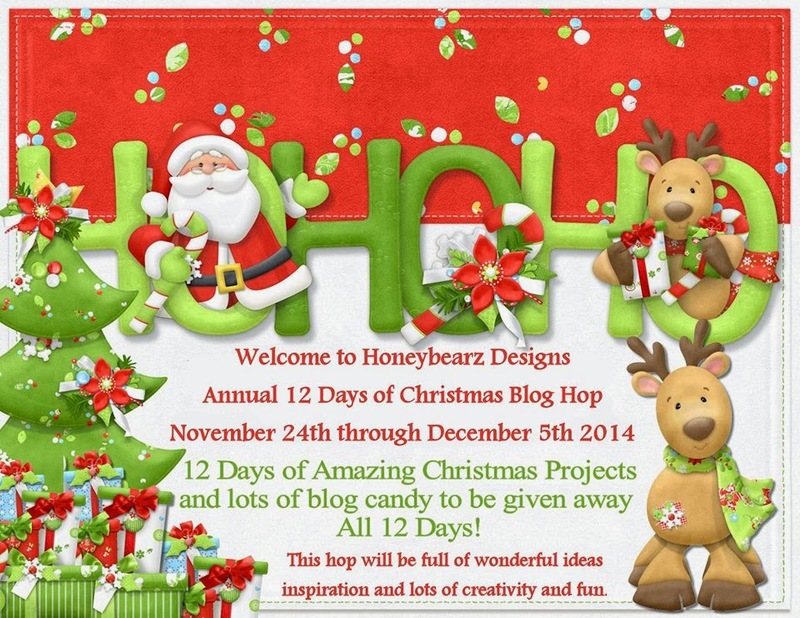 This hop will be full of wonderful ideas and inspiration to get you well on your way of creating all of those beautiful Christmas projects. This is an awesome way to get a lot of your Christmas cards, and scrapbook layouts finished, home decorations completed and maybe even be inspired to create something using a new technique that you have never tried. There will be a new project posted each and every day by all the wonderful amazing ladies in this hop. Also each day we will have a guest designer or two for you to visit. Lisa our hostess will be giving away some wonderful blog candy each day of the hop from the amazing sponsors that we have for this hop. super cute box! have a great day! Your treat box is so cute! I love the paper you used! I’m excited to be in this hop with all of you talented ladies! Kudos on your project. 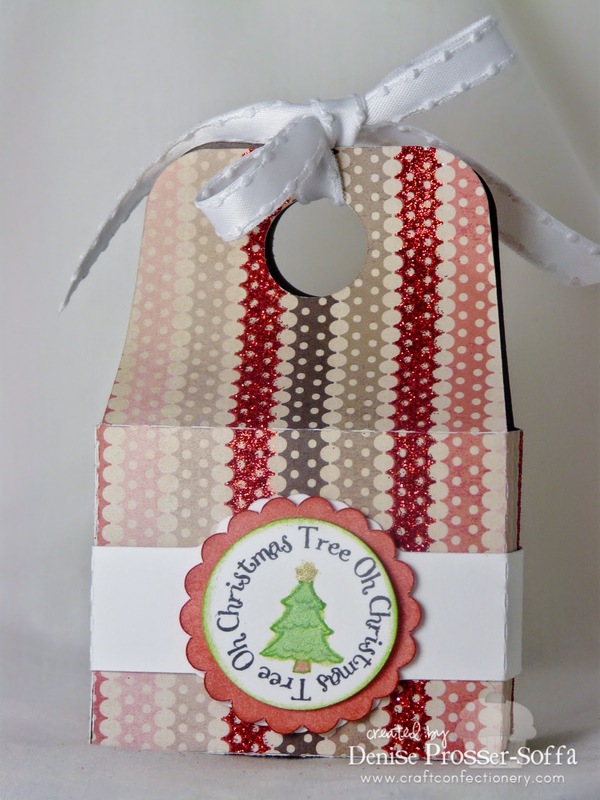 Love the paper for you cute Christmas treat bag - TFS! Very cool treat box! I love that paper! The sentiment is really nice too! Your Christmas Treat Box is so Cute! Love the shape of it and love the paper. Thanks for Sharing! Darling gift box, beautiful paper. Lovely treat box!! Glad to be in this hop with you!! What a cute idea on the treat bag you made. Very cute! Thanks for sharing, and inspiring for a gift! I love the treat box that you made. It also looks like it is a generous size to fill up with goodies! Looking forward to the rest of the Blog Hop to get ideas for the remainder of my Christmas cards! So cute! the paper with glitter looks so nice and I love the christmas tree! so adorbs! would love to get a gift in that! I like your treat box. I especially like the stamp & sentiment. Love this, it is so cute. Thank you for sharing.